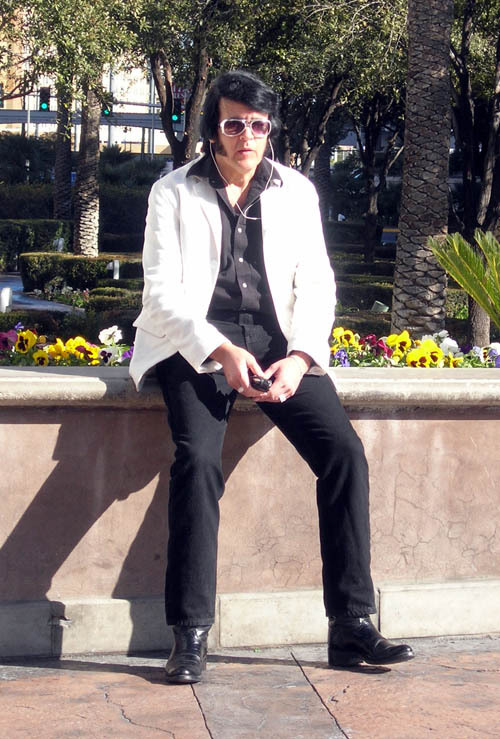 Oh and we saw Elvis. Listening to an iPod. Only in Vegas. One thing that eight hours of flying time is good for is knitting. 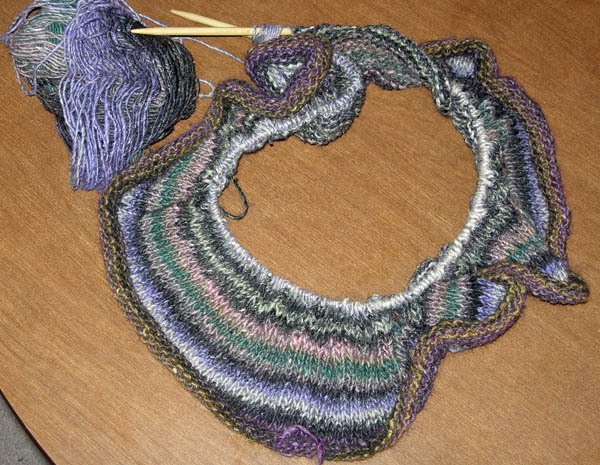 Alas, my new project — a pullover type of shawl knitted on circular needles. 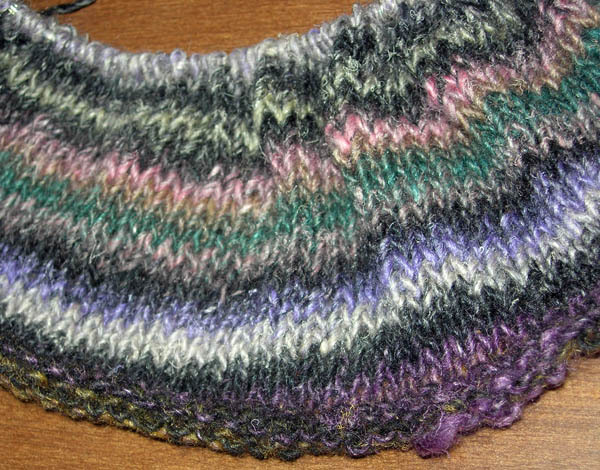 I’m using this really pretty Noro yarn called Silk Garden in color #243 and 36″ size 10 circular needles. I didn’t have the pattern to start it with, so I cast on something like 220 stitches. My friend Jill and I are doing this at the same time. At first, we both cast on what seemed like very few stitches (i.e. it wouldn’t fit around our shoulders) which is why I started over. We just got the book back in stock at the shop and I looked up the pattern. Turns out that you’re only supposed to cast on 158 stitches, so mine may be a little loose. Oh well! The striping is turning out really neat – can’t wait to see what it will look like in the end. Check back in about 6 months – hopefully I’ll have it done by then — LOL! I just went to Vegas Jan 31-Feb. 5 for work (shoe show) AND stayed at the TI! I ate at the Social House twice – yummy sushi! Miss you! !